The Winterthur Cricket Club have announced that VJ Sports has agreed a one-year deal to be the club's shirt sponsor for the 2019 season. The undisclosed sum will be used to subsidise club playing kit & training kit. "It is absolutely great to have Mr Vijay Singh a sports promoter and someone who knows cricket as our official kit sponsor", say Mohamed Sameel. "As the Captain of the club this is also a proud moment for me, because this deal will subsidize for the playing kits reducing a certain level of financial burden from the my players and let them concentrate more on winning games. Also this will benefit any asylum seekers and refugees who play for the club, that is something great." Thank you once again Mr Vijay Singh for accepting to be a part of Winterthur Cricket Club." 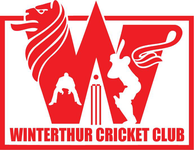 Vijay Singh wrote, "It is a honour to be a part of Winterthur Cricket Club, being one of the oldest and prominent Cricket Clubs in Switzerland, it was natural as a sports promoter to have said yes when the club captain Mohamed approached me about a kit sponsorship deal for the club, also being able help the asylum seekers and refugees in whichever way I could is something I really take to heart. I would also like to take this opportunity to wish Winterthur Cricket Club all the success for the upcoming season." VJ Sports, based in Zurich (Switzerland), is a sports agency and headed by its CEO Vijay Singh. The company organises and executes events (such as St Moritz Ice Cricket in 2018) and provides consultancy, placement and marketing services in the field of sports.